It’s hard to miss the large green, framed print of Cesar Chavez in Jesse Arreguin’s office; and the same can be said for the large Cesar Chavez Street sign perched above the couch on the windowsill; and the images of Barack Obama and Dolores Huerta. The office walls of Berkeley’s first Latino mayor are filled with colorful art and historical characters that have influenced his progressive leadership. By the age of nine Arreguin was a United Farm Workers (UFW) volunteer and activist involved in the efforts to rename Cesar Chavez Street (formerly Army Street) in San Francisco. At 24 he served as a Berkeley City Councilman; at 32 he was elected Berkeley’s youngest mayor; and at San Francisco’s 2017 Cesar Chavez Day parade, Arreguin will be the grand marshal. A descendant of farm workers who endured dangerous working conditions, unsafe housing and the constant struggle to provide food for their children, Arreguin can remember feeling personally called to action at as young as five. To Eva Royale, director of the Cesar Chavez Day parade, Arreguin’s public service and unwavering commitment to justice are no surprise. The parallel between his public service and that of Chavez is nothing new. “As a public official, I draw inspiration from his courage and his humility. His deep belief in justice and fairness is a testament that one person can make a difference through organizing,” he said. Elected in November 2016, Arreguin has had to deal with the increased activity of white nationalist groups in Berkeley. The white nationalist group Identity Evropa, which El Tecolote reported on in Dec. 2016, recently canvassed the U.C. Berkeley campus in an effort to recruit students, and in February, a scheduled speech by “alt-right” provocateur Milo Yiannopoulos was cancelled when violent protests broke out. Despite the negative press surrounding the recent violent clashes between alt-right rallies and counter demonstrations, Arreguin stands by Berkeley’s reputation as a city that is deeply committed to equality and justice. 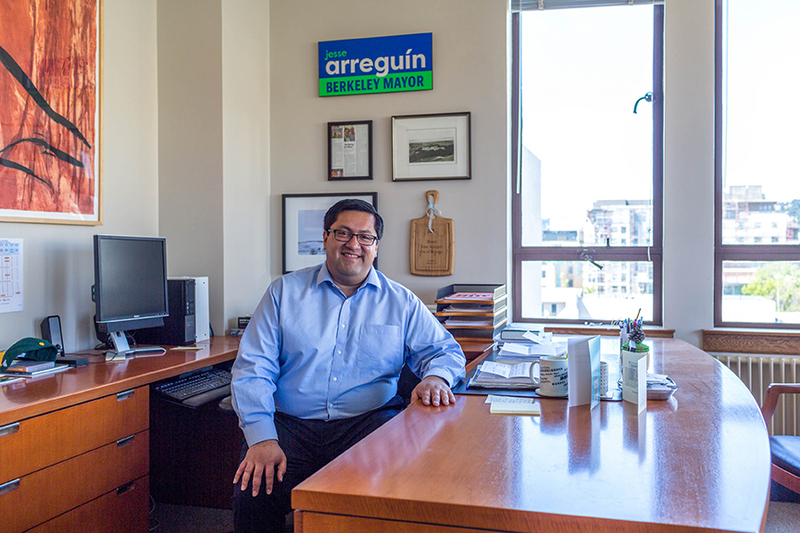 As Berkeley’s youngest mayor, Arreguin has had to jump through hurdles when his age made others question his capacity for leadership. Being Latino, has of course, also shaped the mayor’s experience. Arreguin, who will be the first parade marshal in 10 years, is following in the footsteps of Dolores Huerta, Nancy Pelosi and Barbara Lee. But of all the dynamic marshals in the parade’s history, Arreguin is the first to have been a descendant of farm workers and lifelong supporter and activist with the UFW. The Cesar E. Chavez 2017 Parade & Festival begins at 10 a.m. on April 29, at Dolores Park near 19th Street, with the parade leaving at 11 a.m. The street fair will be held on 24th Street (between Treat and Bryant streets) from 11 a.m. – 6 p.m.